As the Executive Director at Hospice of the North Coast since 2011, Sharon Lutz has overseen the Finance, Community, Development, Philanthropy, Clinical Operations, Bereavement, and Volunteer programs. Through these positions, she has become very experienced in the field of hospice and home healthcare, which has added to her over twenty years working in the hospice industry. 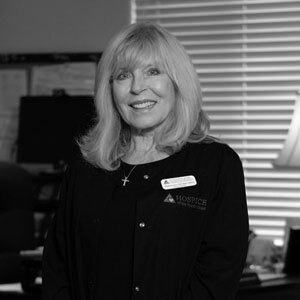 Before assuming her current role, she served as an Administrator at Silverado Hospice in Irvine, California for five years where she oversaw all services. Lutz earned a BS in Nursing from American Sentinel University.